With the plan to keep proceedings low key and fun (ie. 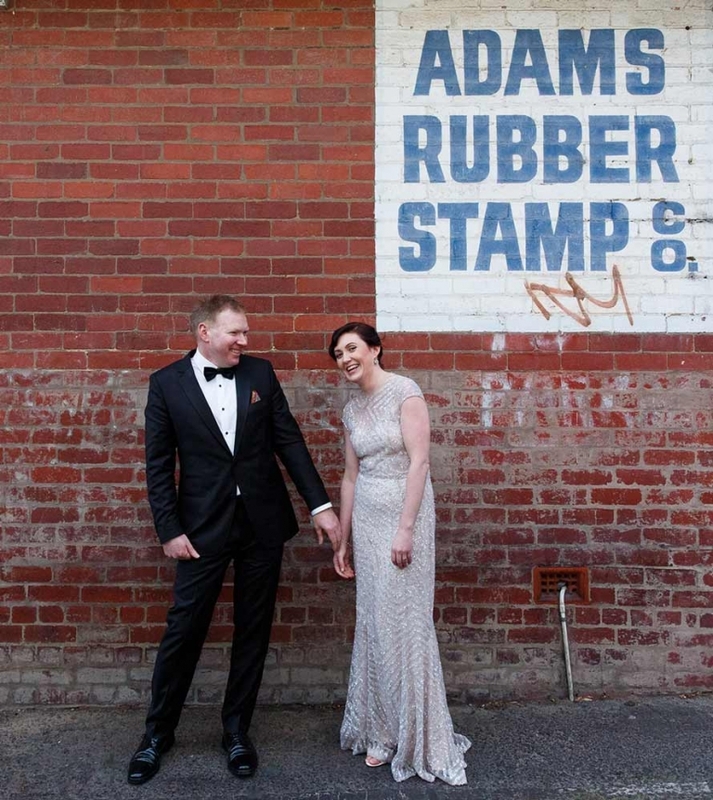 let’s not let the photographer drag us around the city for hours and skip straight to the party) we didn’t have a great amount of time for photos following Alison & Paul’s winter wedding ceremony in Port Melbourne. 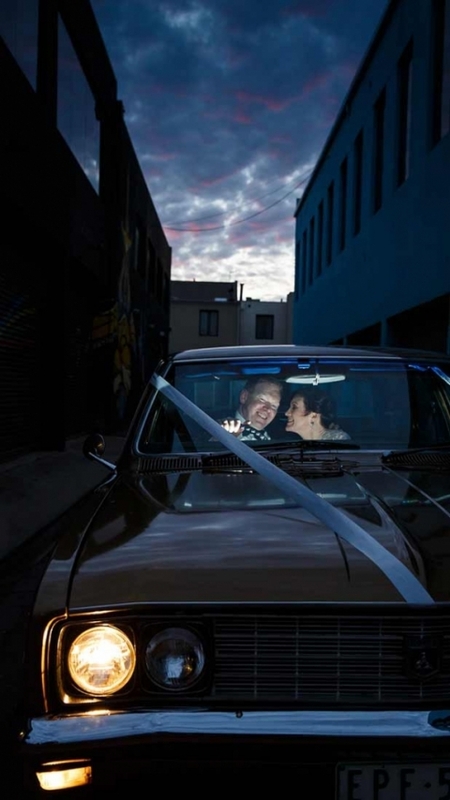 With a ticking clock and just a smidge of daylight left, we still managed to knock off 3 different locations all within a stones throw of each other in Port Melbourne before we finished up with a photo featuring a glorious sky and their vintage Holden. Short and sharp, just the way I like it! Are you planning a wedding? Click here to discuss your wedding photography plans – no obligations, I’m always happy to chat about wedding photography!